It was on a whim that I stuck my head into a castle cannon battery hole, and took a quick shot of one of my favorite places – Edinburgh’s Old Town. I didn’t realize until later how much there was to see. From the Half Moon Battery in Edinburgh Castle, the nearby parade field at lett contains bleachers for the upcoming annual Military Tattoo. The road is the Royal Mile from the Castle east to the Palace at Holyrood, the official royal residence in Scotland. In the distance to the right is hilly Holyrood Park, with the Salisbury Crags, and Arthur’s Seat (the high point). Beyond Holyrood Park is the Firth of Forth, the bay leading to the North Sea – and to northern Europe beyond! Closer to home, I took this one while paddling on the Delaware River last year with the annual Soujorn. The front of our rented tandem kayak and my grandson are in the foreground, some other sojourners paddling south into the wonderful curves of the river are visible out into the distance. There’s always something more to see! This post is in response to a Weekly Photo Challenge from the WordPress Daily Post. The challenge topic for this week is Near and Far. To learn more about the challenge, or to see other near-far entries, click here. This entry was posted in Photo Challenges and tagged Delaware River Sojourn, Edinburgh Castle, Holyrood Park, lifestyle, Photo Challenges, photography, photos, postaday, postaweek, Royal Mile. Bookmark the permalink. Oh, my! That first shot is stunning–what a great subject and you found the perfect frame for it! The river paddling looks like a fun and relaxing activity. Beautiful capture! 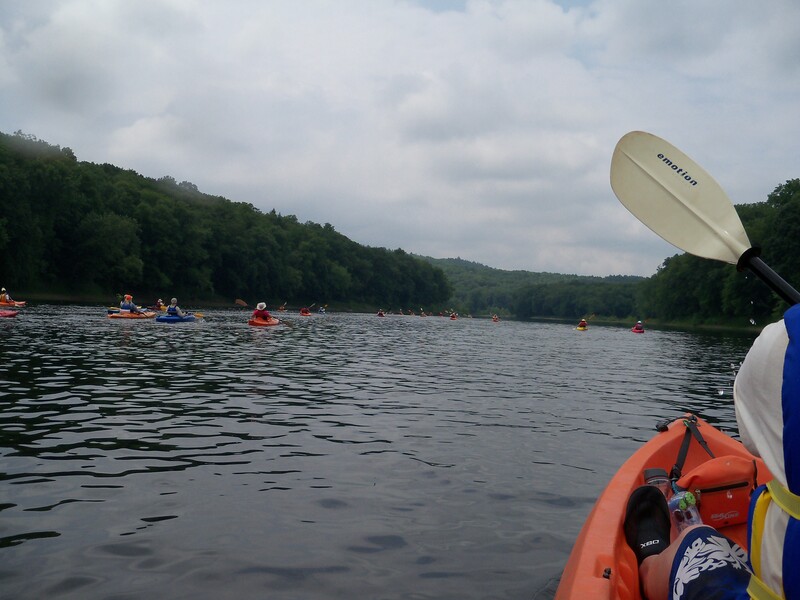 The sojourn is wonderful – the Delaware is a great paddling river! Thanks for stopping by! You’re so welcome! Thanks for the comment! My cousin’s daughter goes there – I hope you’ll get to visit anyway! So glad you stuck your head in that cannon! 😉 Gorgeous! Thanks for the comment! And it was my pleasure! Wow! You’ve given me an interest in visiting now – amazing view! 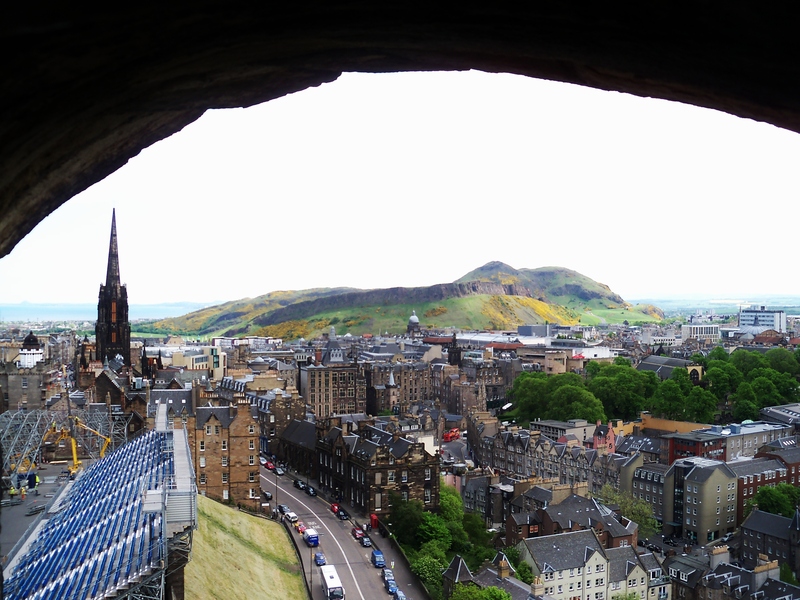 Thank you – The views from Castle Rock are spectacular in all directions – one of the reasons I love Edinburgh Castle! Thanks! Waterways often seem to be leading somewhere far away – this was a fun challenge, wasn’t it? The first shot is gorgeous! Perfect for the theme. Thanks – and thanks for visiting! Thanks, Carol – your shot is lovely and peaceful! Nice shots. I love the one of Edinburgh, I went to the Tattoo a couple of years ago and thoroughly loved it. Arthur’s Seat was great too, very windy at the top which I didn’t expect. My sister went to the Tattoo 2 years ago – Edinburgh becomes a little different in August! So glad you enjoyed the city, and the post! Er yes, it was rather crazy but very very fun. I think I liked Edinburgh because it sort of reminded me of my home town (Adelaide, Australia), which is odd since they aren’t really alike. Perhaps it was the small city feel that appealed. Beautiful shots! I love the near/far context in painting too! Thanks Gale, for the visit and the comment! Those are great photos, especially the Edinburgh one! Thanks, peters – It is a wonderful place! Perfect shots for the challenge! Thanks so much – that’s very kind! Really nice interpretation of the Photo Challenge! The first photo of the Edinburgh is just wow! You’ve captured the entire essence of the Old Town. Awesome! Thanks – Old Town has so much in it… a great deal of history, too! The first photo is really nice. You can see a long way. Thanks, AD! I was happy I took the moment to get the first shot. The Sojourn is done at a nice pace – so inexperienced paddlers can also enjoy it. This year, not quite 14, the grandson paddled his own kayak all day for three days! Thanks – for your visit and your kind comment! I’m in love with the first photo, TRS! Beautiful! What a lovely response – thanks! That first image is really colorful. Great photo. I love how the rather colorful hills surround the city. 🙂 Wonderful photos. Love the first shot! The hills in the background look like they’re painted! They do, don’t they? So many Scottish hills are like that! Gorgeous photos of the Edinburgh’s Old Town and the Delaware River! That first image is spectacular! Wow, your first shot through the canon is spectacular. Great shots of near and far.